Are you considering a well-thought-of course and qualification in health and safety management such as the NEBOSH Certificate? This widely recognised and increasingly demanded qualification by employers will enable you to develop new opportunities for your career as a manager, and in health and safety. Take a look at popular questions asked by people thinking about doing a health and safety management qualification such as the NEBOSH Certificate in Occupational Health and Safety. Our Introduction To The NEBOSH General Certificate is also a great place to look! 1. What does the NEBOSH Certificate look like? The NEBOSH General Certificate in Occupational Health and Safety is the most popular health and safety qualification in the UK and growing in popularity globally. There are two types of qualifications; the NEBOSH National Certificate covers the key legal requirements for health and safety in the UK and the identification and control of workplace hazards. The NEBOSH International Certificate also covers the principles of health and safety, identification and control of workplace hazards, but is based on best practice and international standards, including the International Labour Organisation (ILO) codes of practice. 2. Why take a NEBOSH Certificate? The NEBOSH Certificate offers you a widely recognised qualification to build a solid career in health and safety in any type of organisation, in any sector, anywhere in the world. It can open doors when looking for a job. Year on year, employers are increasing their demand for new recruits to have a NEBOSH Certificate. The NEBOSH Certificate provides an excellent foundation for you to build on your level of knowledge and develop specialisms; you can take the 4-day NEBOSH Fire Certificate, NEBOSH Construction Certificate, or move to a higher level with the NEBOSH Diploma. 3. Who is the NEBOSH Certificate for? The NEBOSH National Certificate (NGC) is targeted at people working in the UK; the NEBOSH International Certificate is ideal for people working outside the UK or working for multinational organisations or who want a more portable health and safety management qualification. It is an internationally recognised qualification. There are no prerequisites for the NEBOSH Certificate. The qualification offers an excellent understanding of foundation health and safety concepts, so it's ideal for people with responsibilities in health and safety. However, 70% of people taking the NEBOSH Certificates are working in a broad range of job roles where health and safety is not their main responsibility. 4. Can anyone take the NEBOSH Certificate? Yes, you do not need any prior knowledge to complete the NEBOSH Certificate. It provides a basis for health and safety and is an ideal starting point to build on in your career. If English is not your first language, you must be able to understand and express concepts covered in clear English. NEBOSH recommends learners have a minimum score of 6.0 or higher in IELTS (International English Language Testing System) or the equivalent. 5. How hard is a NEBOSH Certificate? As you don’t need any specific health and safety knowledge in order to successfully complete the NEBOSH Certificate, except a good standard of English, this qualification is suitable for anyone. However, the qualification does demand a commitment to study time to make sure you understand the concepts, can apply them in a workplace scenario and of course, know how to answer NEBOSH questions correctly. If you have an experienced and reputable learning provider providing effective learning resources, ongoing tutor support and exam question practice with constructive feedback that you take advantage of, you will be well placed to pass your NEBOSH Certificate. 6. How much does a NEBOSH Certificate cost? Type of learning: online using the internet so you can access the course on a computer or tablet vs a classroom-based and structured course led by a tutor(s). Exam question practice with feedback. Materials and resources do they offer. Tutors’ qualifications and NEBOSH training experience. The degree of interactivity studying the NEBOSH Certificate online. The level and type of tutor support i.e. phone, email, webinars etc. Structure and format of the course. Venue location, food and refreshments, parking. Once you have successfully completed all 3 units there is no need to retake any of the units again, within any time period. However, to achieve the full qualification, you must complete all 3 units within 5 years. The NEBOSH Certificate syllabus is regularly reviewed and revised when new legislation, best practice and standards are implemented, so it's important to keep yourself up-to-date on changes in health and safety. 8. What is the NEBOSH Certificate equivalent to and is it recognised? The NEBOSH Certificate is the leading health and safety management qualification. In the UK, it's equivalent to an SCQF Level 6 qualification and this is comparable to NQF/QCF Level 3 in England, Wales and Northern Ireland, or A-level standard. The NEBOSH Certificate meets the academic requirements for Technical Membership (TechIOSH) of the Institution of Occupational Safety and Health (IOSH) and Associate Membership (AIIRSM) of the International Institute of Risk and Safety Management (IIRSM). 9. How long will it take to do a NEBOSH Certificate? It will depend on the method of learning you choose to study and the course provider. If you study in a class of up to 16 learners led by a tutor, it usually takes around 10 full days. A popular class method is completing the first week for N/IGC1 and then a few weeks later, learners attend week 2 for GC2. GC3 is a workplace assignment, but guidance is given on how to complete it throughout both weeks. Some providers also offer a day release course in up to 3 months. Online courses are a lot more flexible, but you need to be motivated to study regularly. It varies from person to person how long it can take to complete an e-learning course, but a rough guide is around 80-120 hours. GC3 - a workplace assignment which must be completed within 10 days of taking the exams. You must register for all 3 exams 8 weeks before the exam dates. Hopefully, you have a clearer understanding of what is involved in the NEBOSH Certificate and where it can take you in your career. 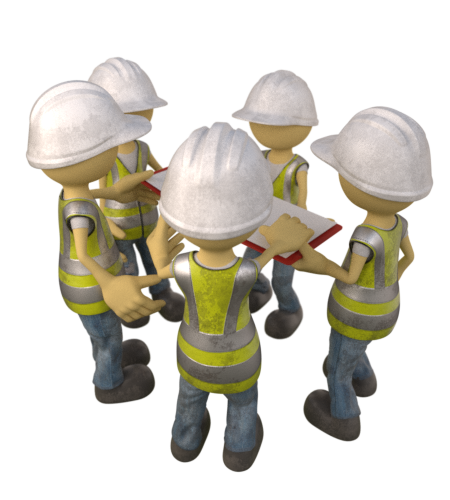 If you need more information then take a look at our NEBOSH Certificate course content and contact our experts with your questions.